LGs Hair Clinic, based in Birmingham in the West Midlands, is owned and operated by Lukan Griffith. Located at the Custard Factory in Digbeth. Just a 5 minute walk from the Bullring in the heart of Birmingham’s creative quarter, the Factory is the most powerful collection of creative and digital businesses, independent retailers and event venues outside London. 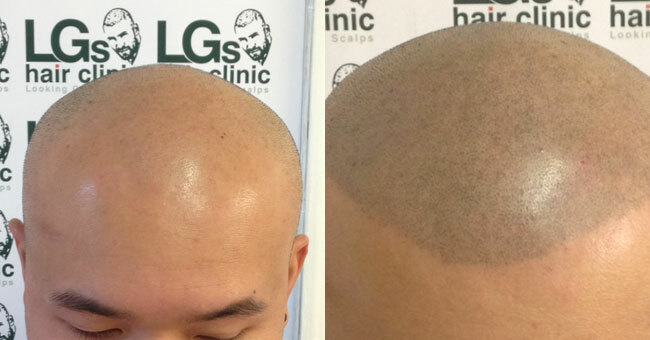 LGs Hair Clinic was established in 2012 and has never tried to emulate the growth of its bigger competitors, choosing instead to offer scalp micropigmentation to a small group of clients. Enough to keep the business ticking over and maintain a high level of service. Owner Lukan remains the sole technician at LGs. As the birthplace of modern scalp micropigmentation techniques, Birmingham is home to a number of quality SMP providers. Anyone living in the United Kingdom will be aware of the gulf in availability of anything new and innovative when comparing London to the rest of the country, with the nations capital the incubator for more than its fair share of progressive ideas. For a development as globally significant as scalp micropigmentation to call Birmingham its place of origin, makes for a welcome change and has led to a massive interest in SMP from people across the West Midlands. It is believed that a greater proportion of people in the area have had scalp micropigmentation than anywhere else in the world. Most commonly known as LGS, the company is actually called LG’s Hair Clinic, which stands for Looking Good Scalps. Operating in the laser tattoo removal industry for several years, Lukan entered the scalp micropigmentation arena in 2012. A relatively new clinic by comparison, the company has been quietly but steadily gaining a reputation as a high quality SMP provider with a number of exceptional examples of their work made publicly available. I didn’t want to set up a service that was the same as all the others. 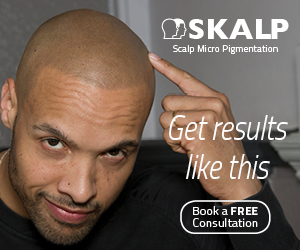 My company offers a highly tailored scalp micropigmentation service to a small number of private individuals. When a client arrives for a treatment, they’re the centre of my attention for the entire day. Together, we take as long as we need to ensure the client goes home happy. So by their own admission, LGs Hair Clinic is a boutique provider that operates on a relatively small scale, and plans to stay that way. Some people will appreciate this alternative approach, whereas others may prefer the comfort of dealing with a larger business. It really is a question of personal priority, however it is fair to say that having the choice to go either route is no bad thing. Lukan has an extensive portfolio that he shares with prospective clients when they visit his offices, all of which can be zoomed to show a significant level of detail. He also takes close-up photographs of the clients own head during the actual procedure, to show the client how it is progressing and to provide reassurance, especially if they are nervous about their treatment. I am usually keen to warn about discounted scalp micropigmentation services, as you may have seen in recent posts. The reason for this is because with a lower price, corners are usually cut, and I have seen some truly awful treatments that were completed by cut-price providers. However, LGs may be an exception to the rule. By placing a strong focus on quality and on personal service, whilst at the same time keeping overheads low and prices down, many people are turning to this company for their treatments. Prices start at £1,400, or £500 for scar work only. LGS Hair Clinic is situated in the heart of Birmingham’s revolutionary creative quarter. Arriving by train is straightforward, get yourself to New Street from where the clinic is less than 15 minutes by foot. If you are coming by coach the station is less than 5 minutes away. Drivers will take around 2 minutes to get from the motorway to the clinic where they will find amply parking.